As promised this week I’m suggesting mother’s day gifts over $50. There are many more perfumes depending on your budget and filtering them is very easy. You can choose the category (eg. Niche Fragrances, Women’s Perfume,..) and, in the left side of the screen, you can refine your search by price, brand, type or feature. Top notes are orange, lemon and Elemi resin. Middle notes include Amber, Pink Pepper, Violet and, pepper. The base notes are Fir, Oakmoss, Cedar, and Madagascar vetiver. Top notes are Pear, Blackberry and, Grapefruit. Middle notes include Litchi, Jasmine and, Wisteria. The base notes are Coconut, Musk and, White Wood. Fragrance notes are Bergamot, Pink pepper, Rose, Lily of the valley, Pear Iris, Jasmine sambac, Ylang ylang Sandalwood, Amber, Woods, Vanilla, & Musk. the-valley, and ylang-ylang; base notes are vanilla and musk. Base notes are Musk, White Suede, Oak and, Sandalwood. Middle notes include Marshmellow, Vanilla, Orchid and, Gardenia. Top notes are Cherry, Raspberry and, Mandarin Orange. Top notes are Musk, White Suede and, Sandalwood. 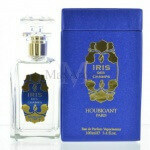 Middle notes include Peony and, Jasmine Sambac. Top notes are Basil, Pear, Lemon, Eater Notes and, Violet Leaf. 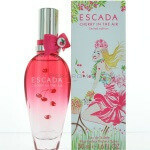 Don’t Forget to comment for a chance to win a perfume!